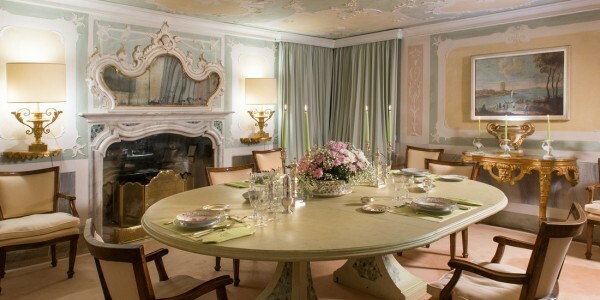 The Villa is a historical residence built in the 17th century, situated on a hill with a beautiful panoramic view under the Rocca of the Medieval town of Asolo, the “pearl of Veneto”. From here you can enjoy spectacular views of the surrounding plains, where on a clear day you can see Venice. 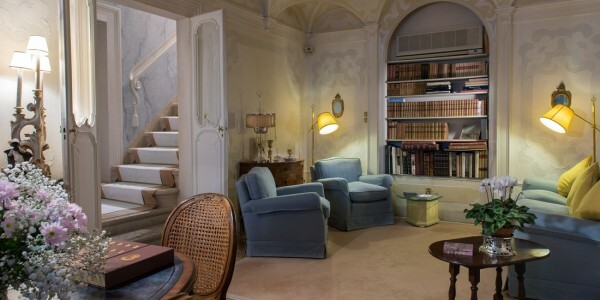 A charming place situated amongst the sweet hills that fascinated many artists and intellectuals like Robert Browning, Eleonora Duse, Ernest Hemingway, Igor Stravinsky and Freya Stark. 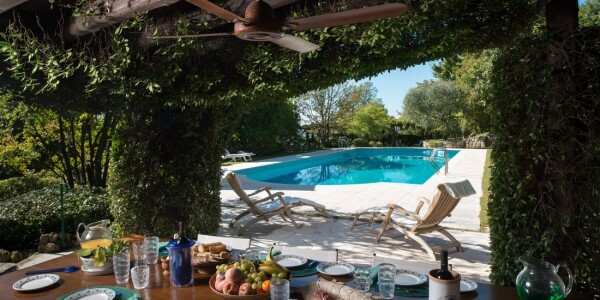 From this conveniently located Villa you will be able to explore local hill towns, go wine tasting, take day trips to Venice, Padua or the Dolomites. The town center is a few minutes walk, where you can enjoy history and culture and the pleasure of dining in excellent restaurants, cafes and wine bars. 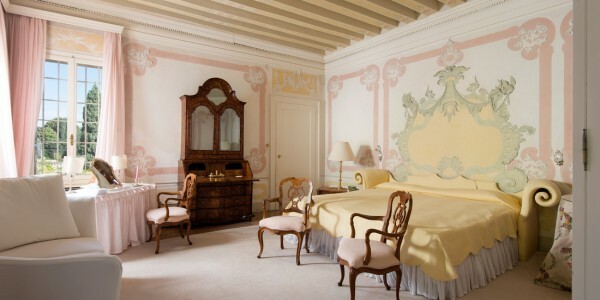 The Villa is decorated with “Stucchi” that everywhere enrich walls and ceilings in the most sophisticated late Baroque movements. 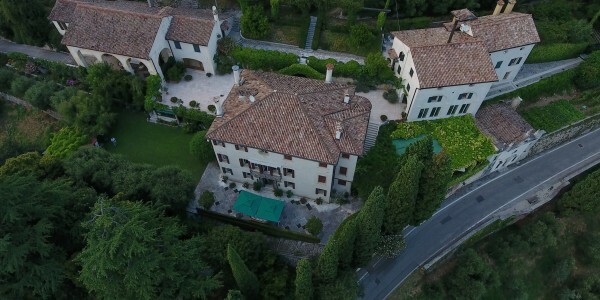 The Villa is composed of 4 buildings: the main Villa, the chapel and two wings called in Venetian “barchesse”, recently refurbished and turned into residences. 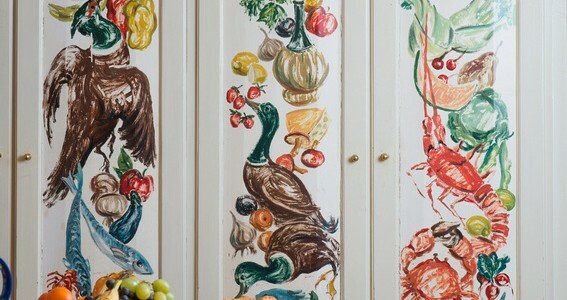 – The ground floor including the kitchen, the dining room, a living room, a guest’s bathroom and the linen room. On the same floor there is a fitness and relaxing area. – The first floor has a large bright living room, two large double bedrooms with private bathroom and a studio. – The second floor has a closet corridor, a master suite with private bathroom, two single rooms, one bathroom, one bedroom with a king size bed, a bedroom with two single beds and a private bathroom. In the left wing there is a little apartment with private entrance, a living room, a double bedroom, a bathroom and a kitchen. 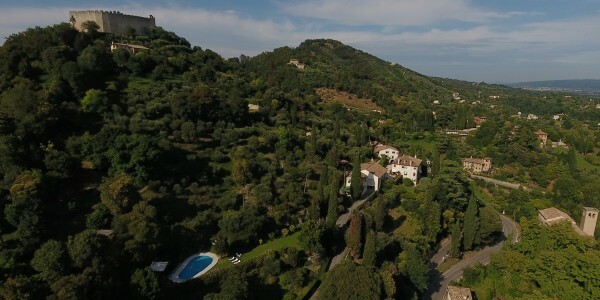 The property is surrounded by nature: there are many typical trees – such as olives trees – and many flowers, especially the beautiful and ancient climbing rose. 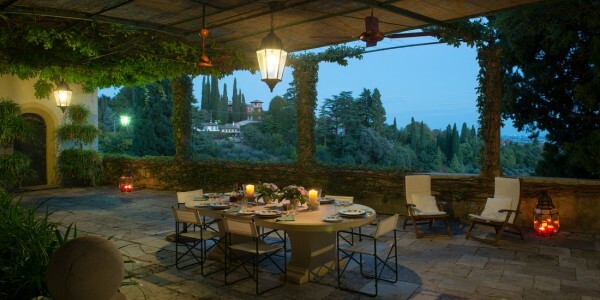 There is a large panoramic terrace covered by an ancient wisteria where you can lunch or dinner while enjoying a unique view on the enchanting hills. A nice fruit tree lined path leads to the panoramic swimming pool equipped with sun beds and changing room. 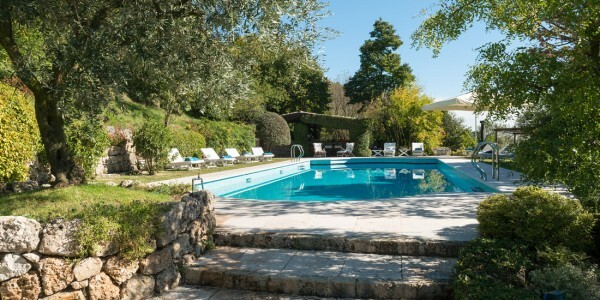 Next to the swimming pool there is a sheltered area with a full equipped kitchenette, a barbecue, a fridge and a large dining table.